The government is to scrap the teaching of GCSE ICT in schools this September, with plans to replace the subject with the “rigorous” teaching of computer science and programming subjects. The government is to scrap the teaching of the GCSE ICT curriculum in schools this September, with plans to replace the subject with the “rigorous” teaching of computer science and programming subjects. Speaking at the education trade show BETT, education secretary Michael Gove said the current ICT curriculum is too off-putting, demotivating and dull. In particular the current curriculum does not prepare students to work at the forefront of technological change, he said. 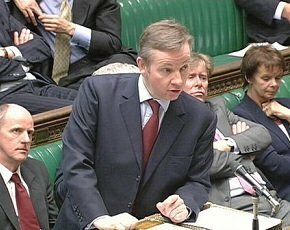 Gove cited a lack of IT skills as one reason the video games industry in the UK has complained of a recent slump. Many people in the IT sector have commented in the past that the curriculum is not fit for purpose and responsible for a slump in IT students at all levels of education. “Technology in schools no longer needs to be micro-managed. By withdrawing [ICT] we are now giving schools and teachers [the choice] of what and how to teach. It’s important to stress that the study of ICT will remain compulsory at all key stages. But no school will be forced to follow [the old ICT curriculum] anymore. Schools can use the amazing resources available on the web,” said Gove. The minister said that if a new computer science GCSE could be developed to meet the right standards then the government would consider re-including it as a study option. Gove said the answer did not lie in spending huge sums on hardware, which quickly becomes obsolete, or drawing up a meticulous curriculum that would become irrelevant in such a rapidly changing field. “When it comes to thinking about how government spends money centrally, it should not be on hardware and procurement, but of the training of individuals. It is vital teachers can feel confident using technology, can adapt to new technology and keep up-to-date with children who are digital natives. We will be working with training and development agencies to look at teacher training courses,” he said. Gove added that in the cash-strapped education sector he hoped schools would not neglect making shrewd investments in technology. However, he said the decision to scrap the subjects entirely could undermine its value for students that have already taken ICT courses. “To be honest the timing of it isn’t great for students currently working towards these qualifications, it will be quite demotivating for them,” he said. Martin Palfrey, ICT teacher at Prospect School in Reading, said the announcement was a positive move. However, he said there was an issue as to whether all teachers were able to provide these skills. “I think there’s also an issue of skills shortages among teachers,” he added. I am a current GCSE student and I have not found any dull or boring things in the work set. In fact the parts that are boring ARE the HTML encoding and script writing! And to add to this who's going to teach us this because all the people who are good at writing scripts are writing scripts and get paid more than teaches. It's a load of rubbish! Graphic design is the way forward as you don't need to know any codes which is easier for the younger students. As an IT Manager who has recently been on the lookout for new talent, I can see that the problems are deeper then a poor ICT curriculum. While I can't see anything wrong with teaching the basics: how to use spreadsheets, word processing, the use of web browsers and email etc., the end result is, at best, a student with nothing more then essential office skills. There is not nearly enough education geared towards delivering a basic understanding of how computers work, the basics of network construction, or the design and development of software. Far more worrying is the deeper problem I've come across on numerous occasions. When I discuss ICT training with colleagues and friends who teach this curriculum, they report that students are frequently hindered by a basic lack of understanding in other areas. What is the point of trying to teach someone how to use a spreadsheet, if the students understanding of mathematics is so poor that they don't fully understand concepts like averages? If the UK student is to offer UK industry something of real benefit, and the goal of the government is to start producing more people like Turing in UK schools, then the standards required for teaching basic principles needs to improve greatly, and the curriculum for ICT training geared towards the training of computer developers and designers, not just another generation of computer users. Can't argue with that, Rich. I spent two years as a freelance teacher, delivering subjects like Web Design, Comp-TIA, ECDL, CCNA and others. For the more advanced courses the pay wasn't bad, if you're only considering the hours spent in the classroom that is. Getting paid £65 an hour to teach sounds great, but when considering the number of hours of prep required to get to the point where you can stand in front of a class, the pay is ridiculously low. Not counting the hours putting together lesson plans and schemes of work, I was spending at least 3 -4 hours in tutorial prep, for every hour of teaching. That's not nearly enough to make a living. Is it any wonder that there's a problem with recruiting top-notch teachers with industry experience as a result? very true... teachers of ICT are not experts in the field beyond the extent of the curriculum and would require a new breed of teacher to be able to teach to a capable level. Creating an app...? does your teacher even know what an app is? As a Head of ICT in a successful comprehensive school in Slough, the news has been long awaited. However, it is a real shame that Gove put all the emphasis on schools making ICT "boring" rather than slamming its own department for education and exam boards for creating curriculum programmes that do not keep up with the moving trends in ICT. What is also worrying is that Gove and his government have failed to offer THE new curriculum at the time in which it was slammed. Instead schools now have to wait for Gove and his government to sort out a new proposal (let us hope they do not forget the new assessment) before school can move forward and since they are taking so long there is a real danger that schools will not be fully prepared for september. Lack of planning and preparation on his part is now everyones problem. There are schools that have been offering a good ICT curriculum, despites the lack of quality in the assessment levels that the government has imposed, that caters for those that want to be users of technology and those that would like to have a hand in shaping technology. Let us all hope that schools will be able to fund the changes in ICT something I hope Gove has thought about and is ready for. How can you say that? The course is completely dull! I am also a current GCSE ICT student and this OCR course has completely drowned my passion for ICT. The controlled assessments seem to prepare me to be more of a secretary than a programmer and and exams prepare me for nothing to do with my future aspirations. The questions are too often badly worded, overly generalised and require specific key words in the answer in order to get marks- none of which is at all hinted in the question. I have to learn about the advantages and disadvantages of floppy disks. I cannot seem to find a single purpose of me doing this as I cannot picture the future of data storage to be in floppy disks. So far I feel that if there is a job called 'ICT Dictionary' or 'Pros and cons of all things pointless in ICT' I will be well prepared for it after this GCSE. The topic names are ridiculous and do not give any help with revision- the first topic is called 'ICT in today's world.' Firstly, what is the other topics going to be called? 'ICT on Mars or 'ICT from about two centuries ago'? Secondly if they decide to call it that I expect to learn things that are cutting edge, not something that is fizzling out of existence, like floppy disks. It is things like this that show that whoever created the syllabus really could not care less about those studying their course.